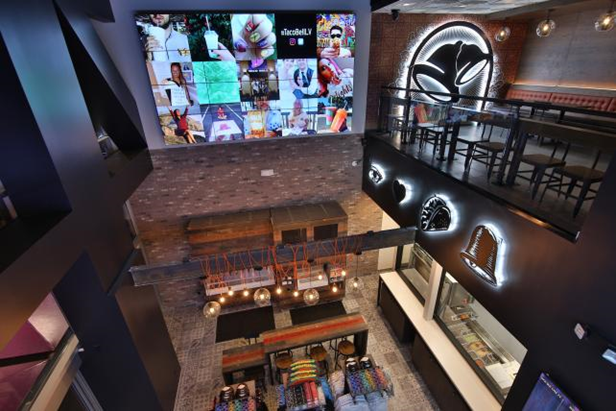 Taco Bell just ringed in the week with a new address and… a whole new look! From their Kit Kat quesadillas to Doritos Locos tacos, Taco Bell has established itself as the master of reinventing Tex-Mex staples in pretty intriguing ways. Recently the fast food Grande has channeled their acumen for reinvention into revamping their logo; just in time for debuting their new Vegas Strip location! Ostensibly, the logo makeover was maneuvered to fit the chain into today’s multidiscipline, multimedia branding requirements better than the previous identity! According to Taco Bell, the new logo takes after its predecessor, introduced in 1995. The logo design was completed in collaboration with TBD, Taco Bell’s internal design, and the creative consultancy Lippincott. According to Lippincott, by opening up the bell, the easily recognizable shape can be filled in with a wide array of textures, patterns, and colors. Pairing the icon with a modern, more approachable, and simpler expression of the name guarantees that the sans serif heightens legibility across billboards, commercials, and digital channels. 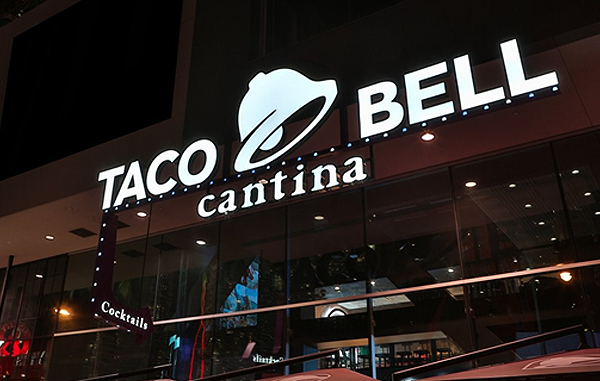 In essence, the logo facelift is a simplified, minimalized rendition of the logo we have all come to associate with Taco Bell, and features a flatter bell design devoid of the former yellow and fuchsia palette. The logo re-design is in line with the prevalent minimalism in logo trend permeating the design industry these days. Across the country, the design brief has become all about stripping logos down to their barest essentials needed to preserve their identity, so that the new logo can accommodate as many contexts as possible. The brand changed its social avatars across myriad platforms to integrate the new look immediately. Almost as if waiting to pounce over the brand, fans began chiming in with their sentiments over the facelift. One fan wrote, “It could use one more color — maybe yellow — but overall, really nice and clean update! ", while another fan rejected the overhaul as rebranding "sacrilege." If the new Taco Bell logo is one thing, it is stark boring. The original Taco Bell logo appeared to be using the same font as the old Dell logo; weird, ’90s futuristic, and quirky. However, it is just a thing of the past now. While the new typeface isn’t Helvetica, it comes pretty close, which makes the logo appear corporate and stern. Akzidenz-Grotesk is used for the new logo, which is every designer’s favorite Helvetica-lookalike. The new logo retains the iconic bell but it has been stripped of all its punch. At best, the new icon resembles an emblem of a forgotten, old Albuquerque offshot of the Ma Bell Breakup! Amidst the exaggerated typography, extravagant swooshes, and vibrant hues, the old logo was actually concealing the painful truth that there was nothing intriguing about the logo to begin with; which is what the minimal execution uncovered. In its sheer simplicity, what we are left with is a wordmark and a lackluster bell that looks like the logo was defaulted to a system font. Here, the same minimal trend that yielded successful results for the rebranding forays of Subway, AT&T, MasterCard, and Microsoft, reveals that it’s not an infallible, bullet-proof solution. While we’ll grant that the new icon is easier and simpler to reproduce, it just as plain and insipid as the flavor of their products. It makes us think of the logo for the Professional Bell Association, resembling the logos for MLB and NBA, with the bell striking an action pose. As for the wordmark, we can’t even begin to describe how it could have been at least a bit palatable, so we leave it to our Twitterati. The new face of Taco Bell will begin rolling out to packaging and stores shortly. However, if you don’t want to wait for it to hit your local Taco Bell, book your ticket to Las Vegas and see the design glorifying the exterior of the chain’s 7,000th location, that just opened on the strip to accompany the brand overhaul. The Las Vegas location is the fourth in line of the brand’s so-called Cantina restaurants, following others in Austin, San Francisco, and Chicago. The trendy setting serves alcohol and food, boasting eight scrumptious flavors of "freeze" drinks, including Pina colada, cola, and margarita that can be prepared with or without booze. Regular Freezes and Twisted Freezes, ones which incorporate a pint of spiced rum, whiskey, vodka, rum, or tequila, are being sold in 32-ounce and 16- ounce souvenir cups. What happens in Vegas stays in Vegas. To touch up the place with a “Vegas” vibe, the location improvised with a VIP lounge, a DJ area, and serving alcoholic drinks around the clock. Along with beverages and food, the spot also features retail items for sale, such as bikinis, bags, shirts, hats, and bags. The restaurant’s modern look is complemented by 16 screens to show sports, portable ordering tablets, digital menu boards, and social media chatter amongst other entertainment. The revamped logo and out of the box location are the latest ways Taco Bell is trying to cater to hip, young diners. In an attempt to appeal to a millennial clientele, the new logo simplifies existing imagery to make it more relevant to the brand’s culturally diverse customer base. Rather than coming up with something entirely from scratch, the brand streamlined and tweaked the existing bell image, well associated with the restaurant chain. 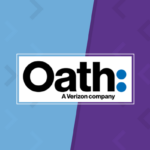 The brand bids adieu to the palette of gaudy yellows, pinks, and blues, which might have been trendy once, in favor of a regal purple complete with a delicate gradient shading. The refurbished design celebrates the brand’s heritage with a gorgeous palette of 7 different color combinations to be used in different contexts. The designers have updated the longstanding Taco Bell wordmark as well. While the previous font was a complex jumble of sporadic slants and embellished curves, the new, contemporary lettering is a forthright black version of the Gotham typeface. Does The Bell Taco For Taco Bell? As the rampant opinion has it, Taco Bell’s effort has made their logo as sickening, mushy, and gray as the beef slurry their employees happily dole out to customers. As little design as possible” shouldn’t mean that you drain your logo of its lifeblood. While the brand no-doubt sought to design something dynamic and iconic, it seemed to have unplugged the logo inadvertently. However, we can’t wait to see what Taco Bell has in mind for the new face of the brand! Do you think Taco Bell’s branding overhaul is a huge mistake or a hidden stroke of genius that we are too shallow to see? Do let us know in the comments below. #CreativeBranding: How Do Chickens Make A Call? 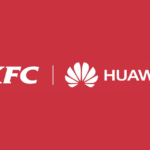 From Finger-Licking KFC Edition Huawei SmartPhone! 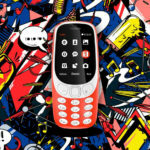 #CreativeBranding: Nokia 3310 Comes Back Like A Boss – The Return of the Titan! Bland………..to put it mildly …… and to go a step further , I will be willing to bet that their sales go down because of it.